Tray sealing specialist Proseal says that while maximising speed and efficiencies is still the driving force for the packing of fresh produce, the quest for these can also deliver important sustainability benefits. It is commonly accepted that the minimisation or near elimination of plastic by changing from a plastic clam shell to a top sealed tray will reduce plastic consumption by 33% on average. In some cases it can be over 95% when using non-plastic materials such as cardboard and the latest recyclable or home compostable materials. Many knock-on effects have further cemented the “greener” argument with benefits such as reduced logistic costs due to the massive reduction in the bulk of empty packaging being transferred over long distances. Proseal can offer additional plastic reductions with its unique reflex tooling which provides savings through the reduction of the skeletal film waste by a further 11%. This also has the same knock-on effect in packaging cost savings direct to the user. Equally important, top sealed trays bring a number of practical benefits as well. The trays can use pre-printed film, which eliminates the need for additional labels and applicator equipment (and therefore add-on costs) and helps to improve the packs’ overall appearance. A sealed lid also makes the pack tamper proof. Food waste is another important sustainability consideration. The development of e-MAP (Modified Atmosphere Packaging) technology in packaging has helped to extend the shelf life of products, combining consumer demands for fresh foods with retailer requirements to maximise the available shelf life. The very latest machine designs are equally focused on creating a greener machine. “An efficiency drive that involves reducing energy consumption is going to tick the environmental box as well,” points out Mr Templeton. “For example, our E-seal® technology delivers an increase of seal force of 260%, and this can be increased by up to 700% when utilising the seal force boost option in the HMI for extreme cases; yet it only consumes 8% of the air of a machine fitted with an equivalent standard pneumatic cylinder. This provides a significant energy saving but, just as important, are the implications for a company’s bottom line - and this is not just about the reduction in energy costs. Most important, top sealing allows the use of today’s modern tray sealers with all the corresponding benefits of an automated and efficient packing process. 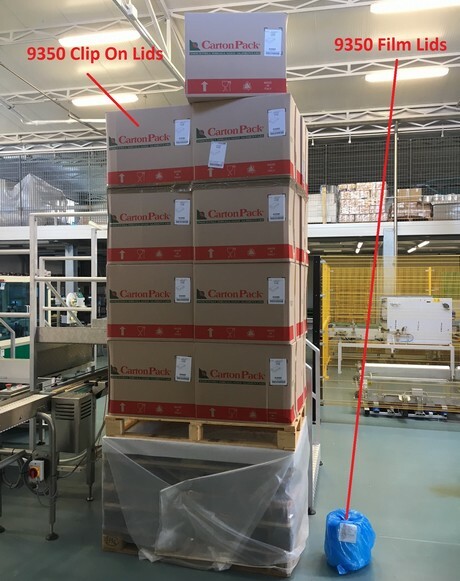 This is an area where Proseal has led the market in new product development, with models capable of sealing anything up to 240 packs per minute. “Ultimately top sealing is able to deliver where it matters most – ROI,” concludes Mr Templeton. “Where there is large throughput, we have seen cases of it being as little as three months.